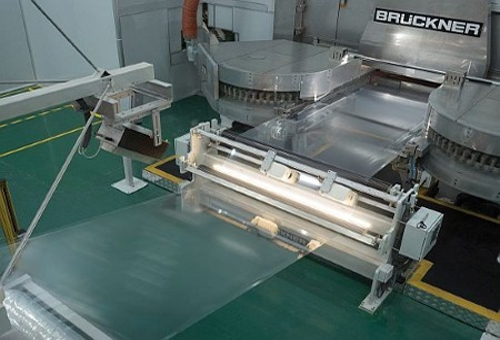 Xiamen Changsu Industrial Co. Ltd, one of China’s biggest biaxially oriented polyamide (BOPA) film producer, has successfully started up the first line of Brückner Maschinenbau’s simultaneous stretching technology LISIM. In comparison to mechanical simultaneous systems, LISIM technology is said to offer higher speed, lower maintenance costs and better flexibility for advanced film stretching applications. Using clips driven by linear motors and without any mechanical link, this technology allows a new level of freedom through online adjustable stretching ratios and a wide range of stretching pattern for post-shrink or tensile process, according to Brückner. Xiamen Changsu’s investment follows a worldwide trend towards simultaneously manufactured BOPA films, Brückner stated. During CHINAPLAS 2015, Brückner and Xiamen Changsu had a small celebration at its booth for the cooperation and the line’s successful start.